We all have something we want to change. It could be our clothes, our car, the weather or even our partner. So often in daily life what seems great one minute is disappointing the next. And it’s hard not to feel that what would really give us lasting contentment is just out of reach. 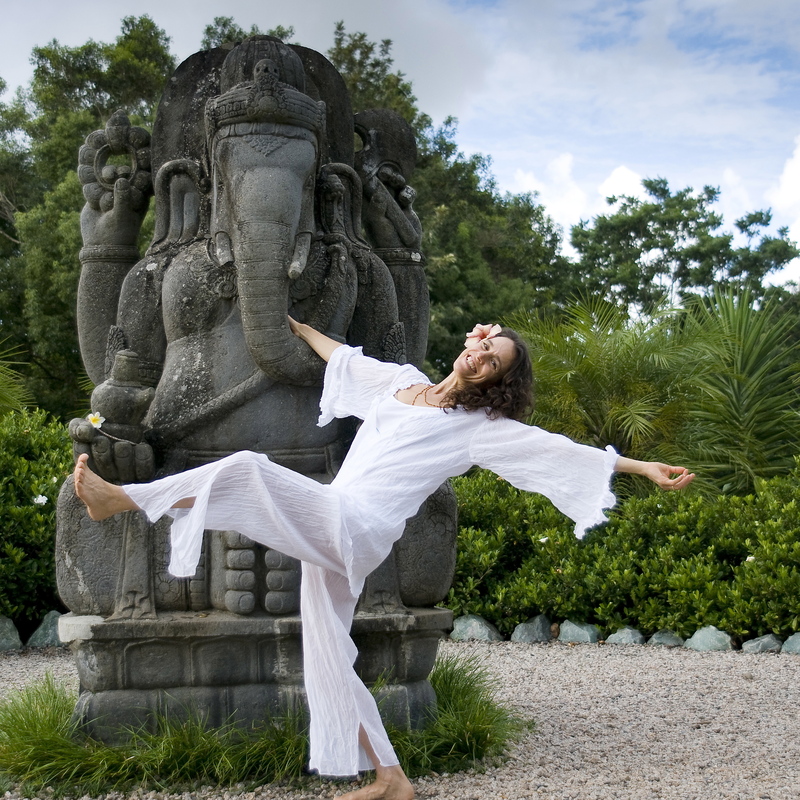 In Yoga our favorite deity is Ganesha because it’s believed that when you ask Ganesha for something he always provides. But who or what is Ganesha and why even consider deities and their significance at all in Yoga practice? These ideas and more are the topic of my current European Tour Pure Ganesha. It’s awesome to be back again for my 7th year in Europe sharing my passion and understanding of what it means to maintain a grounding asana practice and incorporate mantra, mudra and yantra into a daily routine. I have spent the last 17 months traveling the globe, studying and teaching. It’s been eye opening and confronting to face my obstacles to practice, to really know what makes me content and to embrace a different way of being in the world. Through rigorous self observation and having lots of time to myself I certainly know a lot more about how I think, and how to manage my thoughts and when I catch myself being just like I was when I was 9, kind of goofy and freewheeling I can’t help but laugh and feel grateful that every role I had invested in fell away in one full swoop. A crisis is the best time to question who you are! The tour this year kicked of in Nuremburg at MyShanti Yoga a wonderful and heartfelt studio where I felt so at home. This weekend I head to the Meran Yoga Festival in Italy and the following week I am in back in Liechtenstein one of my favorite places on earth. The tour continues throughout May and June and I urge you to visit my site for details. A Big Thank YOU to Clemens Frede from Shri Connections who has been working hard all year to create such wonderful opportunities for me to share the deeper aspects of Yoga throughout Europe. After Europe I head home to Byron Bay to prepare for my upcoming Japanese Teacher Training followed by our extended Teacher Training in the Ishta System October 15- November 30,2012. I have been updating my facebook page with insights from the road so feel free to stop by and say HI anytime. Wishing you the happiest spring or fall wherever you may be and stay tuned….